The programme builds on foundational engineering knowledge and skills with a stimulating and challenging postgraduate programme of study that will advance your understanding and analytical skills. You will develop a critical awareness of current issues in the field, as developed by ongoing research from LJMU's Built Environment and Sustainable Technologies (BEST) Research Institute. You will also evaluate the latest research and design methodologies, increase your understanding of ethical issues related to civil engineering, and your responsibilities with regards to sustainable construction. In addition, you will develop a greater understanding of management principles and management strategies and be able to critically evaluate design, construction and operation within the context of both regulation and current developments. 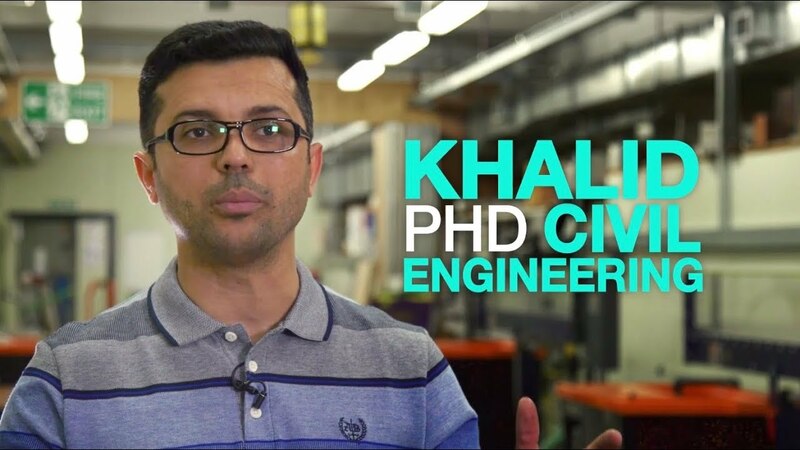 With an undergraduate and Masters-level qualification from the University of Babylon in Iraq, Khalid Hashim came to LJMU to study for an MPhil leading to a PhD. Common roles for graduates of this programme include: Civil Engineers, Geotechnical Engineers, Project Engineers and Structural Engineers at organisations including Carillion, Arup, Tony Gee, Mouchel, Mott McDonald, J N Bentley Ltd, HL Structural Engineers, URS Infrastructure and Environment Atkin Global and as General Consultants. This module provides an understanding of the academic research process, its techniques, strategies and methods. It develops your understanding and provides skills in research design, implementation and presentation. This module develops and tests your ability to prepare a dissertation, based on an in-depth study of a subject significant to your chosen discipline within the built environment. This module develops your understanding, and critical awareness, of the sustainability of infrastructure. It aims to develop understanding of the operation, design and management of infrastructure in both the developing and the developed world. This module develops practical and team skills via collaborative work on an industry project. It enables you to follow BIM protocols and practice in a multidisciplinary project team to achieve project success. The module provides you with the knowledge and skills to apply the PRINCE2® project management method to appropriate project contexts. It aims to develop the requisite skills and knowledge needed to apply the PRINCE2® method to the management of different stages of the project life cycle. You will learn through lectures, seminars and problem solving sessions. You will develop a critical awareness of current issues in the field, as informed by ongoing research from LJMU's Built Environment and Sustainable Technologies (BEST) Research Institute. You will also benefit from site visits to see theory put into practice. The Department of Civil Engineering is situated in the Byrom Street complex of LJMU’s City Campus. Here you’ll find high quality lecture theatres, meeting and seminar rooms plus social spaces and a large café. The Avril Robarts Library, open 24/7 during semester, is just minutes away on Tithebarn Street.